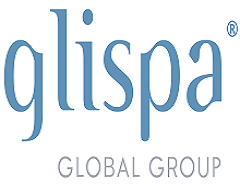 glispa is a high-performance, mobile marketing pioneer empowering our clients to activate global audiences, reach growth objectives and move markets. We provide a full suite of acquisition and monetization solutions (gBoost, gPerform, gNative and Media Services) for global advertisers like Baidu, Nexon, OLX and Gumi. glispa reaches billions of mobile and web users with our multi-channel offerings driving quality engagement, increasing customer lifetime value and impacting the bottom-line.